This is why awareness of Combustible Dust Is SO Important!! Around 1 p.m. on Monday, July 31, 2017, Jordan White posted a video to Facebook. Since then, it has been viewed by more than a million times. An overhead tank filled with more than 10,000 bushels of corn collapsed as the bin was being unloaded into a truck. The bin took out a power-line and the grain dust and electrical spark created a fireball that caused extensive damage. White said the structure was only five years old. White Farms is located near Switz City. More than corn was lost in the collapse–the loss of this bin could be detrimental to the upcoming harvest if it is not replaced immediately. An appraiser was on-site at White Farms in the evening creating a bid to replace the grain bin. Overview of Dust Explosibility Characteristics. NIOSH, Cashdollar-KL, NIOSHTIC-2 No. 20020625, (May 2000) . Appeared in the J Loss Prev Process Ind 2000 May 13(3-5); :183-199. Worker Killed in Wood-dust Fire Sparked by Faulty Fuse. NIOSH FACE Oregon Case Report: 03OR021, (February 9, 2006). Combustible Dust. Oregon Hazard Alert, OR-OSHA 2993, (June 2008). Combustible Dust Explosion Hazards. Kentucky Department of Labor Hazard Alert. Combustible Dust Poses a Dangerous, Explosive Threat in the Workplace [PDF]. NCDOL Industry Alert. Development and Control of Dust Explosions (Occupational Safety and Health). John Nagy, Marcel Dekker Inc., ISBN 0-8247-7004-8. Dust Explosions in the Process Industries. Eckhoff, Rolf K., Elsevier Science, ISBN 0-7506-7602-7. 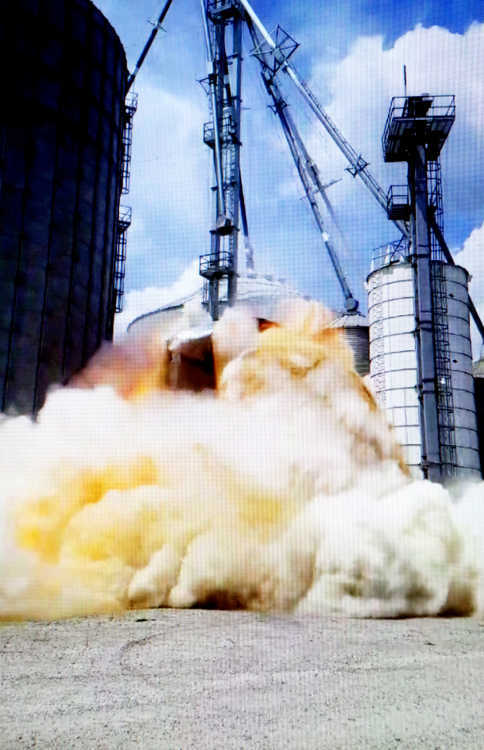 Dust Explosion Prevention and Protection: A Practical Guide. Katherine Barton, Gulf Publishing Company, ISBN 0-7506-7519-3.